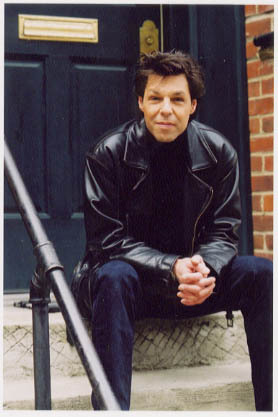 Kasim Sulton is best know as the bass player/vocalist for Todd Rundgren's band Utopia. Combining rock and pop with a progressive feel, Utopia was definitely ahead of their time and they still have a good deal of fans the world over. In addition to Utopia, Kasim has worked with such diverse artists as Meat Loaf, Hall & Oats, and even former teen idol Shaun Cassidy. Today Kasim is playing acoustic, recording a new solo album, and getting ready to take the whole show on the road. We recently e-mailed some questions to Kasim regarding his remarkable career in music. Here are the replies from the former Utopian. Highwire Daze: How have the acoustic shows been going? When is the new album due and what is the title? Kasim Sulton: The shows have been going really well. I was a little apprehensive going into it having always had a band behind me when doing solo shows in the past, but it's really not too different. Just don't have as much 'noise' in the background. I'm working on a new CD that I hope to have done by the summer. I have a working title but I'm keeping it to myself till I have more songs recorded. HD: What are some of the new songs called and where did you draw your lyrical influences from? Kasim: Right now there are 5 songs recorded, titles include "'Before She Was Gone," "Heaven Help The Child," and "We The People." My influences come from various sources -- books I read, life experience, my friends and family and the totally whacky world we all live in. HD: How did you initially wind up getting connected with Todd Rundgren and how old were you at the time? Kasim: I was playing keyboards for the Poetress/Singer Cherry Vanilla, through a mutual friend I heard that Todd Rundgren was looking for a bass player. I had always played bass in bands and was looking for that one big audition that everyone trying to get into the business prays for. I made some phone calls saying I was interested in trying out for the band and got a call back from Roger Powell a few days later inviting me to Woodstock to audition. Needless to say, I got it. I was 19 at the time. HD: What are some of your favorite songs from the Utopia era and why? Kasim: I guess some of my favorite songs can be found on Adventures In Utopia, Oblivion and Utopia (white jacket) They would include "Second Nature." "Too Much Water," "I Will Wait," "Bad Little Actress," and "Set Me Free." All these songs touch some chord in me, whether emotionally, lyrically or musically. HD: So what eventually happened to the Utopia project and have you kept in touch with Todd or any of the other members? Kasim: Well, Utopia just kind of petered out at the end. I like to think of it as more supply than demand. Our audience was shrinking with each subsequent release and continuing to tour and make records wasn't garnering the response that other people -- people who control the purse strings -- saw as financially prudent. Sad really because it was such a good band. HD: When you look back on your work on the solo album Kasim, what do you think now? Kasim: You know, for the longest time I didn't listen to that record. When I started choosing songs for the shows I'm doing now I had to go back and revisit it to relearn songs I wanted to do from it. It really isn't a bad record. I mean there are things I would do differently now of course but for what it was and for when it came out, it was a good record. HD: Were you initially nervous about performing on your own back then, and what do you remember about your night at The Roxy in Los Angeles? Kasim: I remember playing at the Roxy very well. I wasn't thrilled at the line up in my band at the time, thought the drummer played too fast and the keyboard player wasn't Roger Powell, so it was a bit frustrating to me and I was SO nervous! I mean I had just been signed not weeks before that, so I had something to prove. I think my nervousness affected my ability to relax and do what I do best. I was trying too hard. People know and sense that from a performer. I certainly knew it so I'm sure I came off like that. HD: Is Kasim available on CD or will it be in the near future? Kasim: No, as far as I know, it is not available on CD. HD: Another album, The Basement Tapes is available on Slick Records. Tell me about that project and how Earl Slick eventually became involved. Kasim: The Basement tapes started out as a lark really, just something for the true fans to have.... The demos of some songs I did with Utopia and on my first record. I included other stuff that I recorded over the years. The first copies were available through the old Utopia News Letter, "Utopia Times" and it was only on cassette! Earl Slick (he was the friend who first told me about the Todd audition) was starting a small website offering previously unreleased music from various artist friends he was close to. The Basement Tapes fell right into that category and I gladly allowed him to offer it on CD through his website. We have been friends for some 30 years. HD. What was it like working with Meat Loaf on the two Bat Out Of Hell projects and what were you contributions? Kasim: I remember well living in Woodstock in 1976 and getting a phone call from Todd asking me if I wanted to play on a record he was producing. I said sure and asked what the artist name was... "Meat Loaf". Your kidding I said. Of course he wasn't and we started rehearsals shortly thereafter. We played every song on that first record top to bottom before we went into the studio. We all, Todd, myself, Roy Bittan and Max Weinburg had a large hand in arranging that whole record. I thought the whole time that I was playing too much on the bass, but until someone said something to me, I wasn't going to stop. I was just doing what I though the sounded good. No one ever said I played too much and I'm very proud of my work on that record. The second record, 17 years later was just as fun to do although I only contributed backing vocals to that one. HD: How in the world did you get involved with Shaun Cassidy and his Wasp album? Kasim: Another Todd production that I was lucky enough to be a part of. HD: What other projects have you participated in that you were excited about? Kasim: Most all projects I do I can find something in them to get excited about, otherwise I'd rather not do them. The ones that immediately come to mind are Patty Smith, Hall & Oates and producing the last Meat Loaf CD VH1 Storytellers. HD: What do you think of the state of music today? Kasim: A lot of it I don't get. I mean how can you compare Gangsta Rap to the Beatles? The former being a kind of cultural equivalent to the latter when I was growing up. To me, it doesn't make much 'musical sense'. I do respect it, I just don't get it. You know, it's not much different now than it was when I was growing up in terms of the One-Hit-Wonders, artists that you hear of one day and the next they disappear. When Guns and Roses came out with their first record, I mentioned to more than one person they'd be lucky to get to their third record without imploding. Music is so much more about dollars than it is about sense these days. Do I sound bitter? I'm not. I still do what I love to do and there are a lot of truly great artists out there. HD: So who's better anyway, Britney Spears or Christina Aguilera? Kasim: Are they in the music business or something? HD: Any plans to tour with your own project outside of the East Coast? Kasim: I have a little run of shows in Ohio coming up in June. 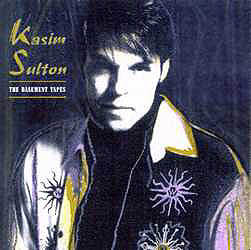 The info can be found on my Official Website, KasimSulton.com. HD: In the live show, will you be doing any Utopia songs or material from the first solo album? Kasim: Yup, I do both Utopia songs and Kasim songs. HD: So what do you know about the music industry now that you didn't know back then? Kasim: Someone always knows better than you what you should be doing, and how you should be doing it. HD: Any messages for fans or people who might be interested in checking your music out? Kasim: In the coming weeks there will be lots of sights and sounds to check out on my website. Stop by, give a look, give a listen. If I can make one person smile, I'm happy. KASIM SULTON: The official Home Page! THE ROAD TO UTOPIA: A super informative site about all things having to do with the great Utopia! Many thanks to Sarah for the use of the title graphic at the top of the page!! !